A graphic organizer to help organize your news report. 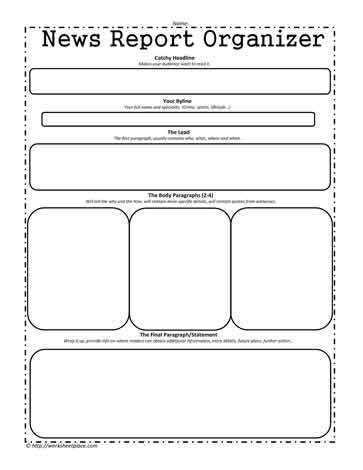 A news reporting graphic organizer worksheet for expository writing. Media literacy worksheets.